3 Contradicting Eos Price Predicitons - Will the Crypto Go up or Down? As this rather uneasy cryptocurrency market momentum remains in place, looking toward the future becomes even more important than ever before. In the case of the EOS price, it is evident the expectations are very different among traders. The following three predictions, ranked in from uber-bearish to bullish, show a lot of interesting things can happen to the EOS price in the coming weeks. When looking at different trading patterns, a head-and-shoulders pattern can usually indicate a few different things. Depending on the intensity of this pattern, it can trigger small corrections or very steep declines in the near future. Andypro16 is confident EOS will drop to $1.22 once the $4 demand zone is broken. Although this appears to be a rather short-sighted vision, it is not unlikely such a scenario can come true. Before this target can come true, the EOS price will need to drop below $4 first and foremost. Based on the current market conditions, that seems to be virtually impossible. At the same time, EOS has enjoyed a very strong uptrend despite the overall bearish pressure across the markets, thus it is not unlikely things will fall apart at some point. An interesting chart, albeit one with the lowest chance of coming true anytime soon. Every cryptocurrency is subject to people who see merit in its concept and those who will try to dismiss it as much as possible. In the case of the EOS price, this particular chart indicates an extended bearish run as the value will drop below $5 again. More specifically, trader chorny.capital is convinced EOS will slowly head toward $4, although it seems rather unlikely that will happen anytime soon. Even so, there is a very good chance the EOS price will see a small price dip in the very near future. This altcoin has been remarkably stable for a few weeks now, but it is a matter of time until that momentum turns around again. A small dip is not necessarily bad either, as it paves the way for more gains in the future. 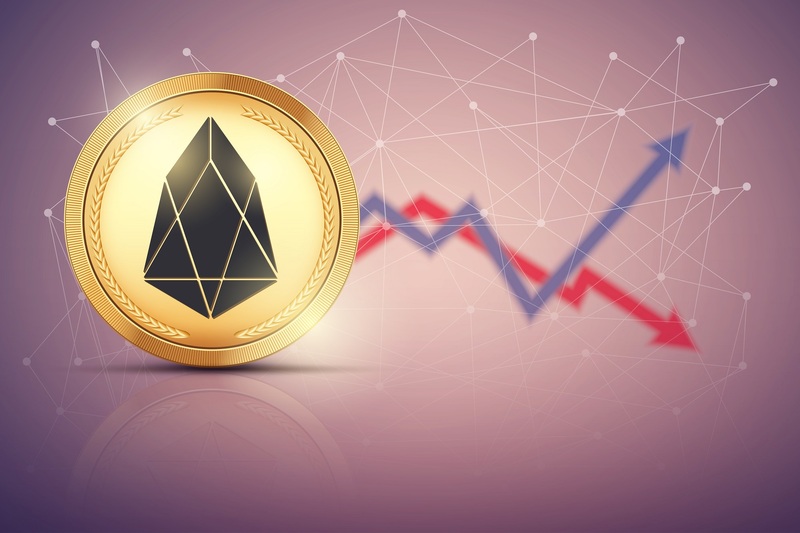 Whether or not the EOS price will drop below $5, will remain to be seen. There are still plenty of cryptocurrency holders who expect the 2017 bullrun was only the beginning of what the future may hold. According to Amney, the EOS price is bound to repeat its own history and attempt another moonshot. If true, that would mean the EOS price will need to hit $13 and $21 in rather quick succession to sustain the upward momentum.